Slightly delayed for the day as it’s a massive file that’s been processed IAmUltimate along with CUC 2010 Sherbrooke brings you the Mixed Final. Now that we’re into the finals days the processing may take a bit longer as they’re longer games. There may not be a Finals video each Wednesday but there will be a video of some sort. Featuring an all Quebec final between ONYX and RIP the match started well, slowed down, and then got quite exciting. 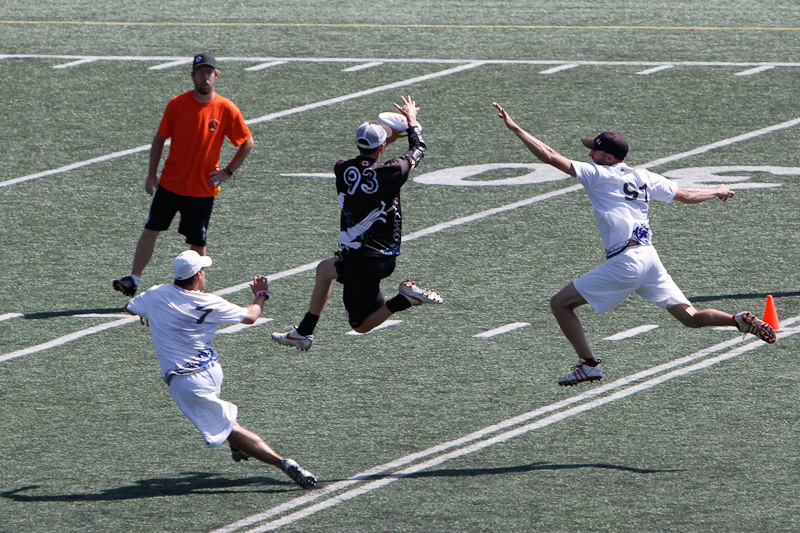 You can find the Mixed Final on our CUC 2010 Videos Page as well as right here: Watch Now. This entry was posted in Canadian Ultimate, CUC, Media, Mixed by Tushar. Bookmark the permalink.